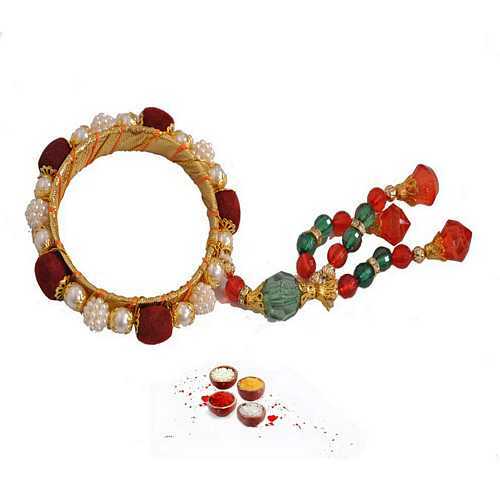 Rakhi or Raksha Bandhan is the pious festival celebrating the sacred bond between brothers and sisters wants to adorn her brother’s wrist with precious rakhi. 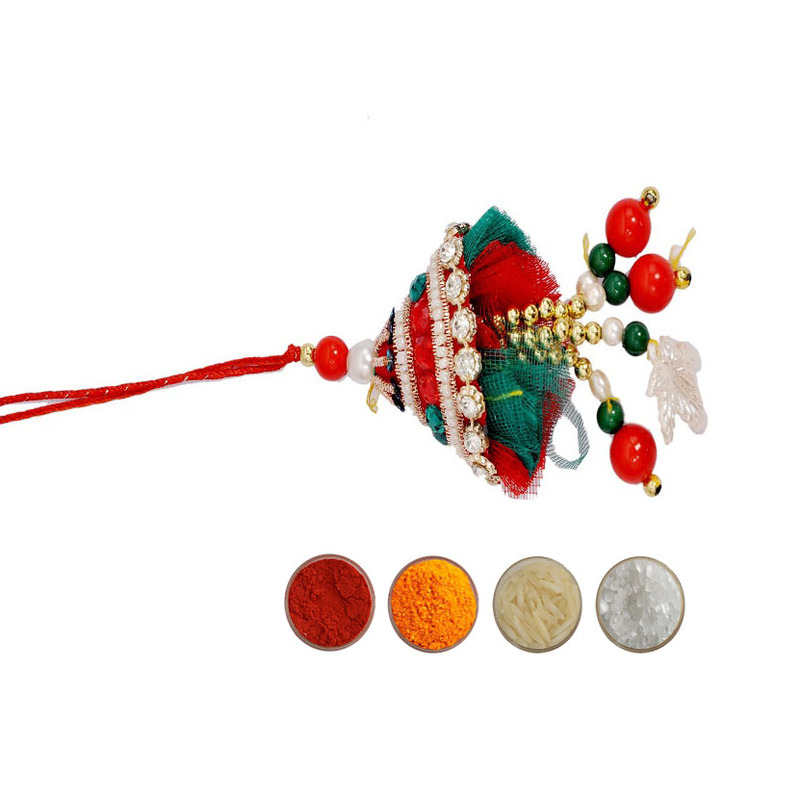 If your brother is married then you must not forget your brother’s wife on this special occasion and we have special and beautifully designed Lumba rakhis for your Bhabhi. 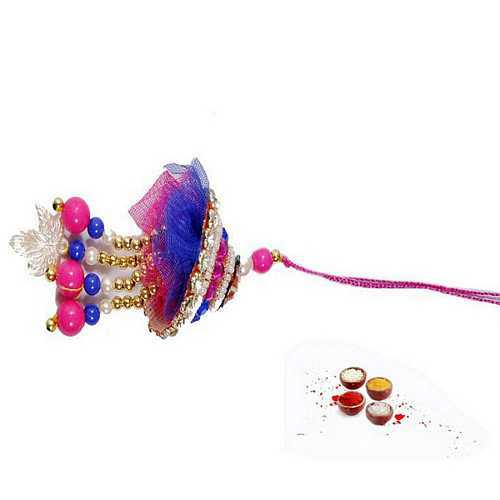 Buy Lumba rakhi online at best affordable prices from our portal and surprise your sister in law on Raksha Bandhan and if you are far from your beloved Bhabhi then you can Send Lumba Rakhi Online to India or abroad without any trouble. 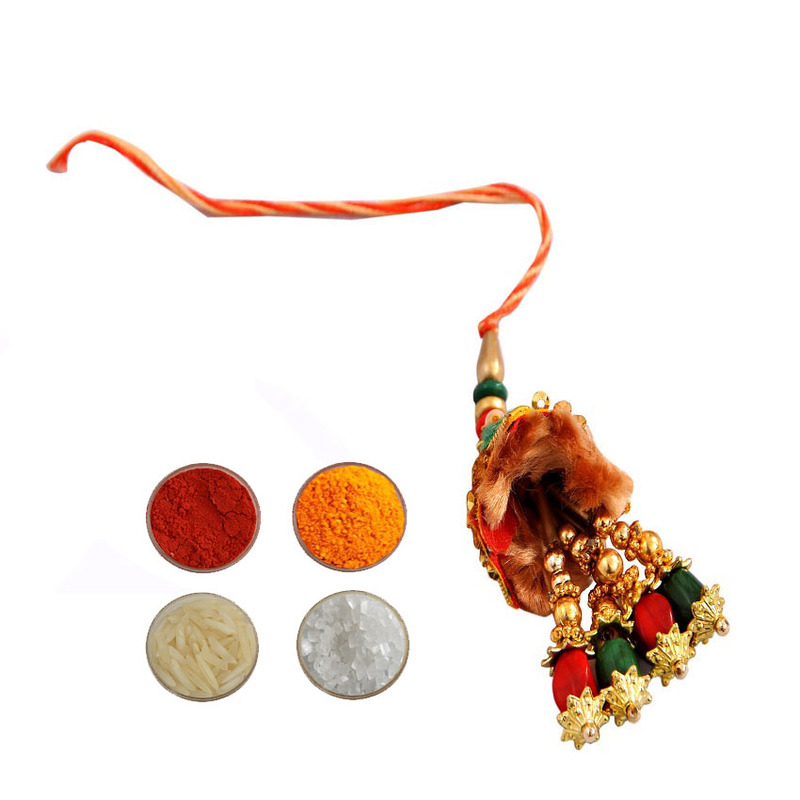 You can compliment your Lumba rakhi for Bhabhi with exciting and alluring gifts like and send it online through our gifting portal like Send Lumba rakhi with Sweets, Send Lumba rakhi with dryfruits, Send Lumba rakhi with chocolates, Send Lumba rakhi with cards, Send Lumba rakhi with gift hampers etc. 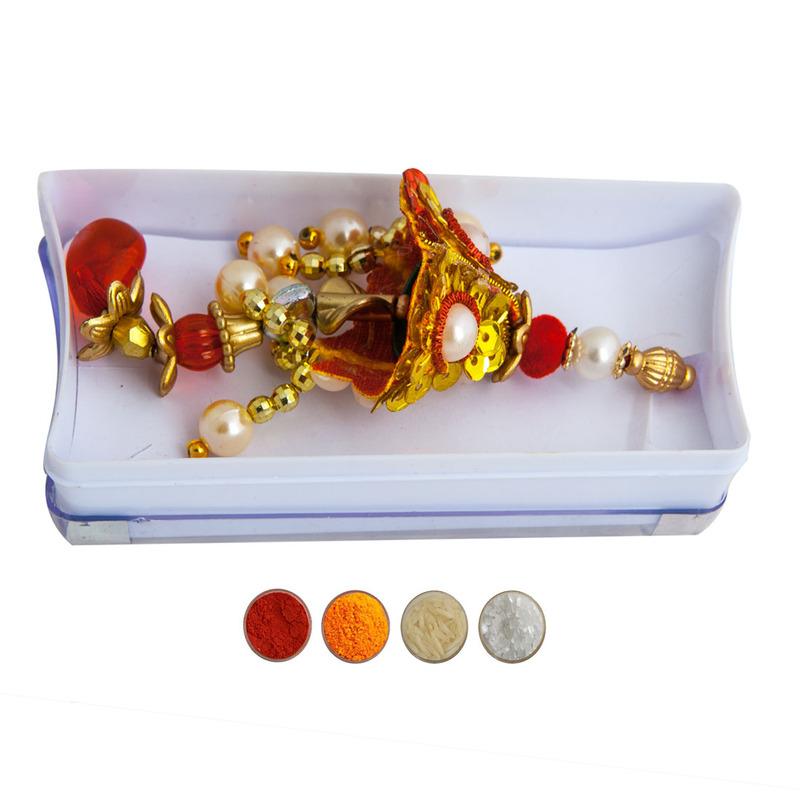 we have plethora of rakhi and rakhi gifts collection to choose from apart from Lumba rakhis we have different varieties of rakhis like designer rakhis, traditional rakhis, fancy rakhis, kid’s rakhi, Zardosi rakhi, Mauli rakhi, Rudraksha rakhi, pearl rakhi, semi precious stones rakhi, Bhaiya Bhabhi ki rakhi etc. 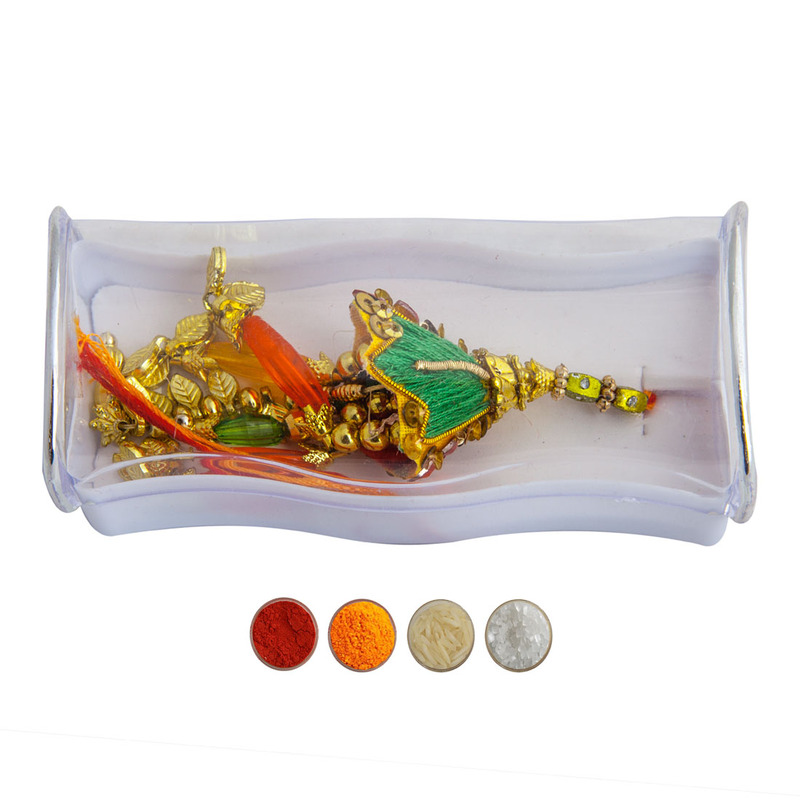 pick the best one for your brother and adorn his wrist with best rakhi. 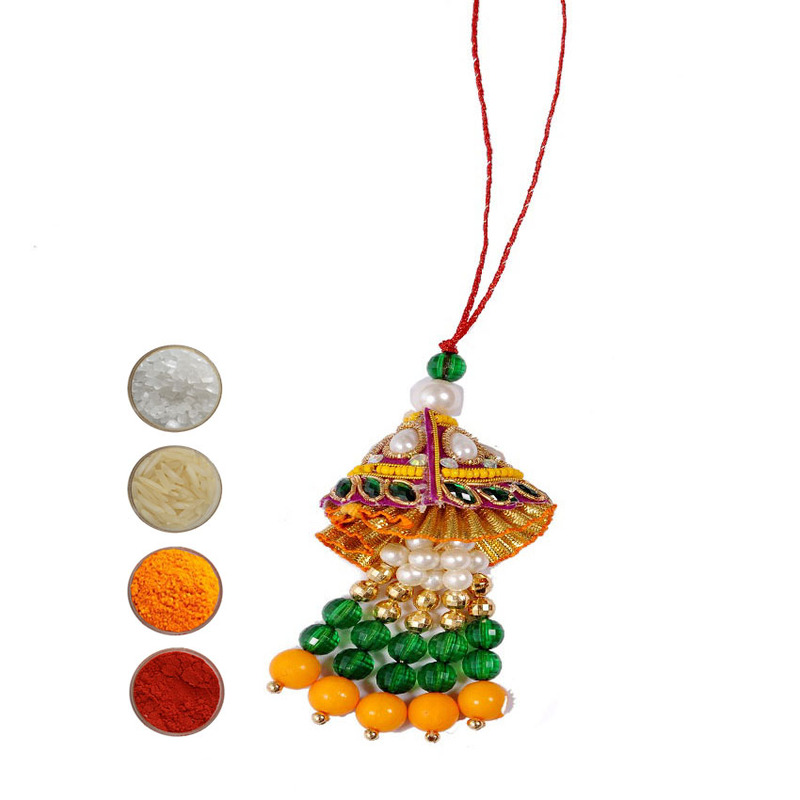 Now it’s no more a fuss to send Lumba rakhi to India, with the help of our gifting portal you can easily send Lumba rakhi to India and rakhi gifts online to India at best affordable prices. 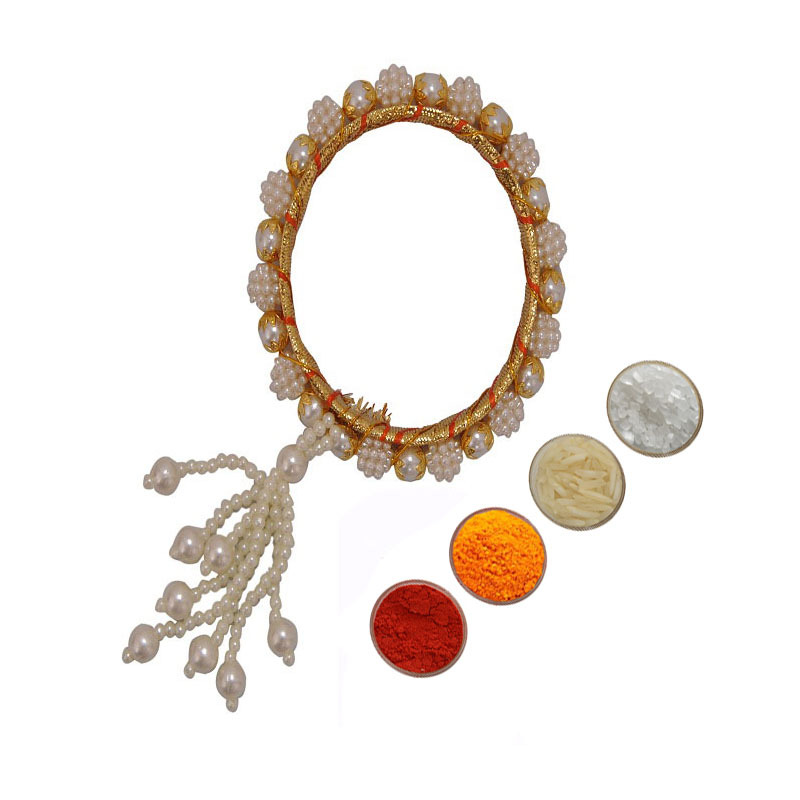 We have express delivery services in all the states and cities in India like Delhi, Mumbai, Kolkata, Chennai, Bangalore, Hyderabad, Kanpur, Bhopal, Amritsar, Ahmedabad, Gurgaon, Faridabad, Ghaziabad, Indore, Nagpur etc. 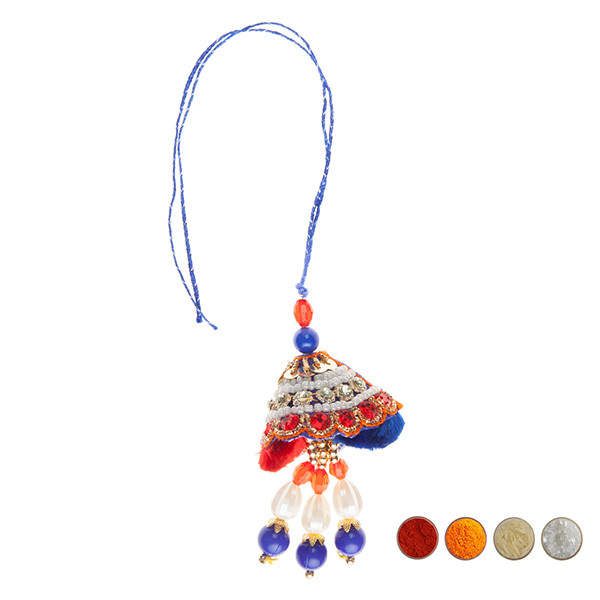 so pick the best rakhi for your Bhabhi and Send Lumba Rakhi Online to India with our special facility of free delivery services within India and have a hassle free shopping experience with us. 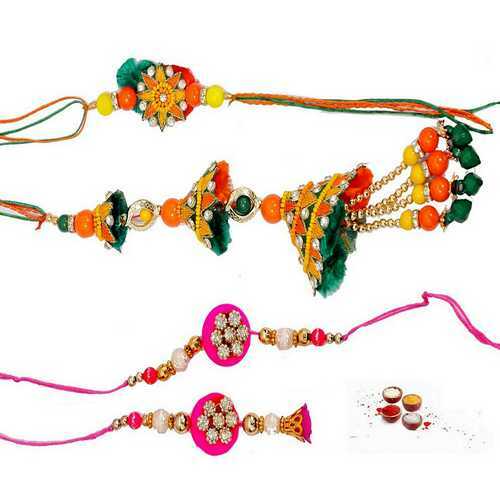 Make your Bhabhi feel special that how much she is important to you and send Lumba rakhi online for her and even staying far from your beloved siblings make the festival as fun and exciting as it could have been if you would be there. When a man is married in India, his wife is considered his half body. 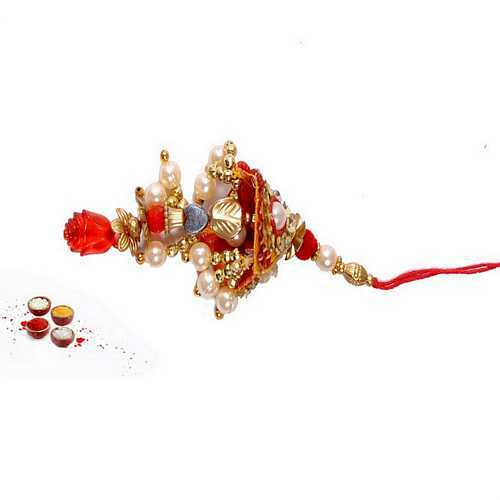 A married man cannot complete a puja without his wife. 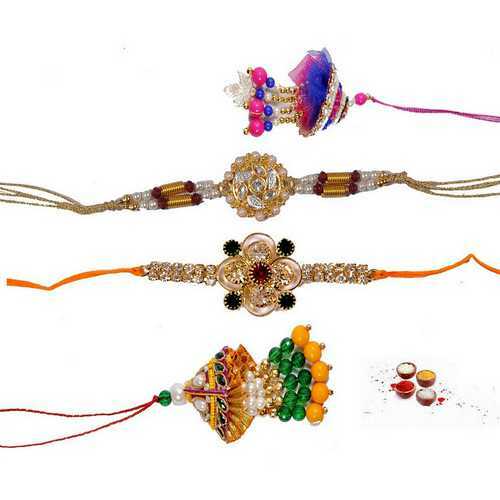 On Rakhi too when sister’s are performing puja and tying rakhi to their brother’s hands his wife too sits with him. 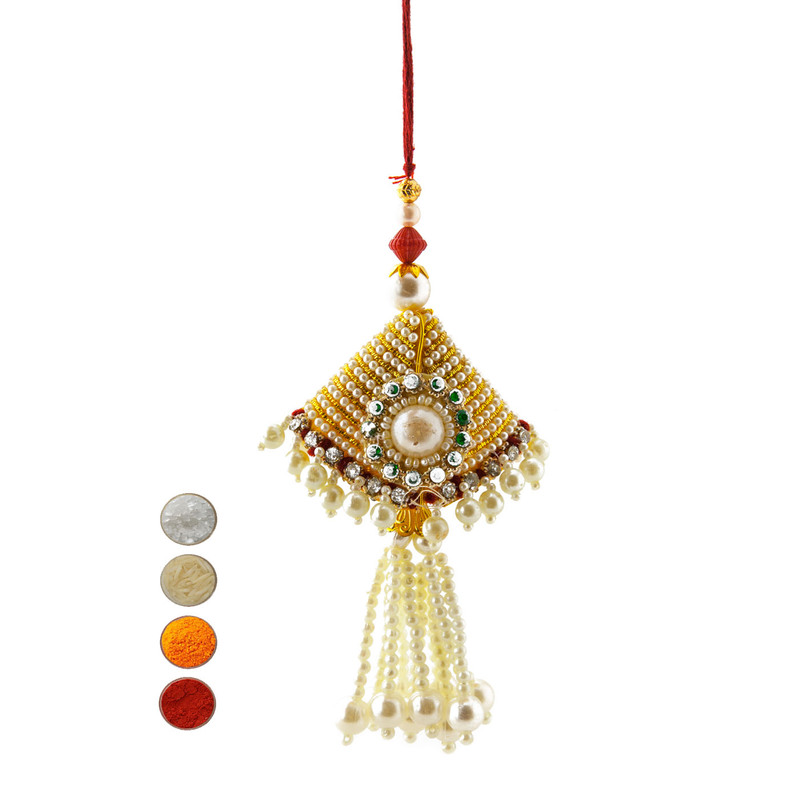 Lumba is a specially designed rakhi for Bhabhi, that is designed keeping in mind the feminine hands. 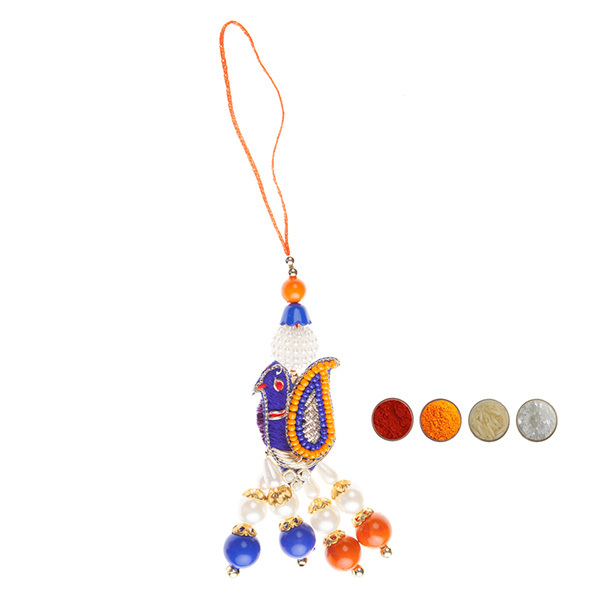 It is a Bengal shaped rakhi that has a long latkan in it. 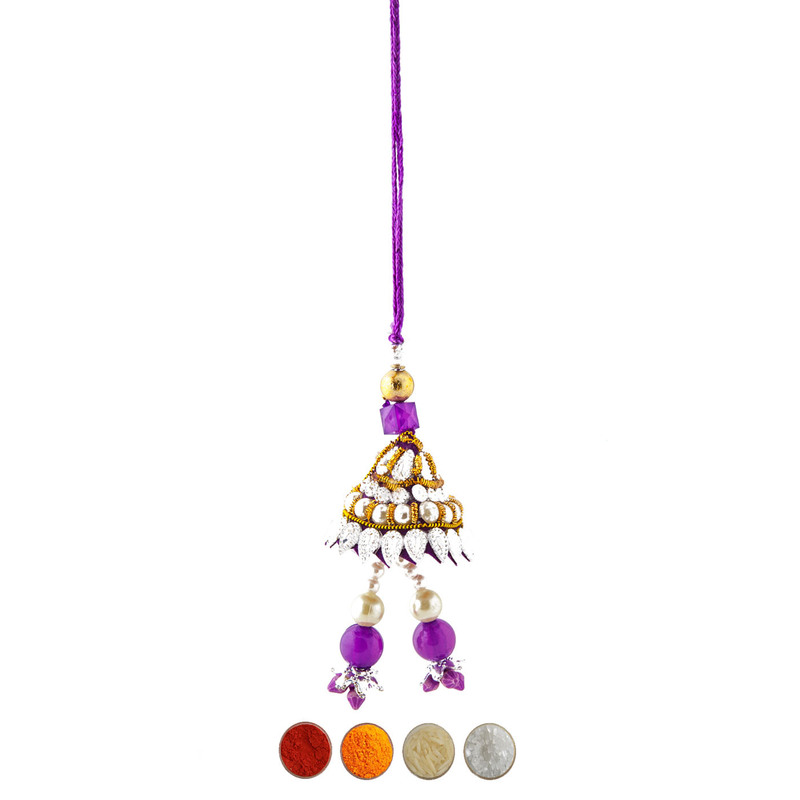 You can get buy beautiful Lumba rakhi, or send Lumba rakhi to India to greet your brother and his spouse on the special day of love and respect of siblinghood.